Getting good poké in Seattle was like getting good ramen used to be, a challenge. Now, very good ramenya are popping up with increasing regularity. Anyone who’s had ahi poké in Hawaii might agree with me that in Seattle, it’s been a disappointment. The primary reason is the fish quality. There’s something about tuna freshly caught off Hawaiian shores that makes it almost impossible to make bad poké on the islands. I’ve had great eating experiences at Ono Seafood (Kaimuki), Hawaiian Style Cafe (Hilo), Me Bar-B-Q (Waikiki), Poké Stop (Waipahu). My sister-in-law even swears by poké sold by Foodland, a Hawaiian supermarket chain. And like ramen, it seems poké is experiencing exponential growth in the U.S.
Last December, brothers Bayley, Michael and Trinh Le opened goPoké in Seattle’s International District. They have island cred because they grew up in Hawaii, the father was a tuna fisherman and the mother responsible for selling the catch and who developed her own version of poké to sell. Even the children got involved in door-to-door sales. This is the time when other vendors are establishing their own ventures in Seattle, including Hawaiian celebrity chef Sam Choy with Poké to the Max (3 food trucks, 2 brick-and-mortars), his only restaurant in the U.S. outside of Hawaii. The three brothers wound up in Seattle and decided after a time to start goPoké across the street from Hing Hay Park. They would draw on decades of collective experience. Automatic success was not assured, though opening day last December saw a line form around the block. But after Bayley Le’s KING 5 appearance in February on the New Day show, there was valuable media exposure. Did it make a difference? Maybe so, with help from word-of-mouth and social media, because goPoké is going gangbusters. The name itself seems intentionally or not a play on Pokémon Go. Theirs is a great ahi poké, cut (cubed) in uniform bite-sized pieces, firm and smooth, dressed with the right balance of Hawaiian sea salt, limu, white onion, scallions, toasted sesame seeds and sesame oil and, above all, fresh. There is also a spicy aioli version, as well as an extra-spicy one, the latter of which would seem to mask (disrupt) straight poké’s delicate and natural flavors. In a gesture to Northwesterners, there are also three styles of salmon poké. An invention of goPoké’s own is the Combo Bowl in which three kinds of poké are combined with rice, edamame, krab (faux crab made from pollock) salad, seaweed salad, pickled ginger (gari, sushi ginger), cucumber sunomono, and two toppings (from among fried shallots, fried garlic, furikake, chopped macadamia nuts). Friend KirkJ (and his wife), who was with us, ordered one and enthused over the tako and salmon poké. The fun doesn’t stop with poké. 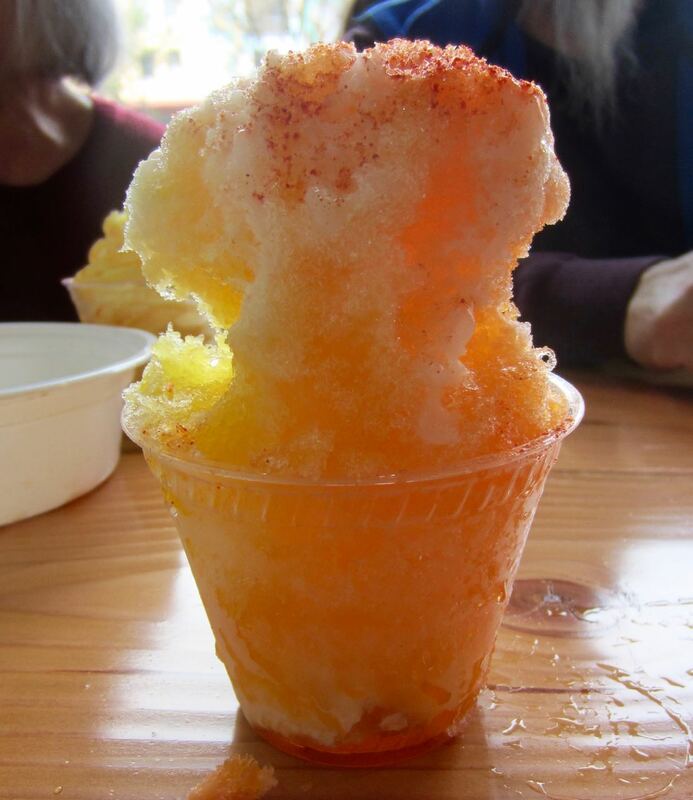 I was personally excited about five—yes, five—menu items that I happen to love from Hawaii: Bubbies mochi ice creams, SPAM musubi, Kona Brewing Company beers, Hawaiian shave ice (with snow cap!) 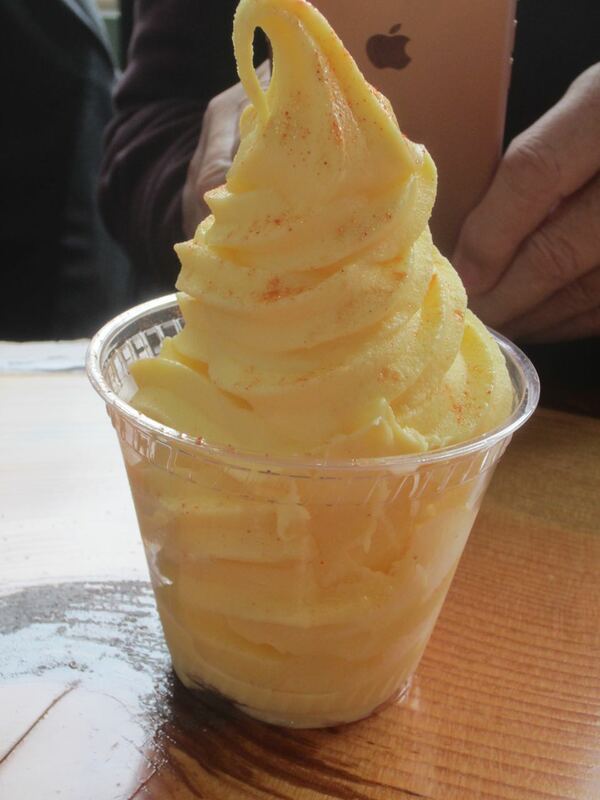 and Dole pineapple whip (which many of you know is a Disneyland staple). With enticements like these, do I need excuses to visit the International District more? 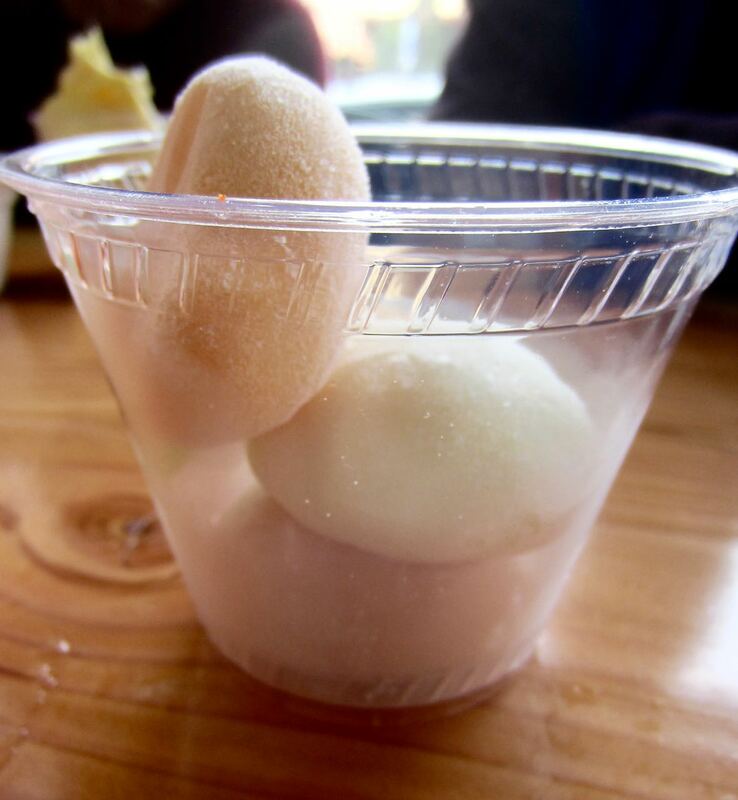 This entry was posted in food, Hawaiian restaurant, Restaurants, Washington, West Coast and tagged Bubbies mochi ice cream, Dole pineapple whip, goPoke, Kona Brewing beers, poké, shave ice, SPAM musubi. Bookmark the permalink.